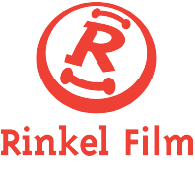 Welcome to Rinkel Film, a film production company founded by Reinier Selen in 1996. We have produced a variety of multiple award-winning features, TV Series and TV movies for the domestic and international market. On this website, you can find an overview of our projects, our team and the latest news about our productions. Rinkel Film is moving! From May 14th 2019, you can find us at: Visiting Address Veemarkt 180 1019DG Amsterdam Mailing Address Cruquiusweg 40 1019 AT Amsterdam From May 13th until May 17th we might be difficult to reach. We hope to welcome you soon at our new office!